Yesterday, Tom Brady, the all-world, super-model marrying, NFL MVP, football god quarterback for the New England Patriots was asked how fans can better support his team with some noise during this Sunday's home game. According to Yahoo Sports, his tongue in cheek answer was: "Yeah, start drinking early. [...] Get nice and rowdy. 4:15 game, lot of time to get lubed up. Come out here, and cheer for the home team." 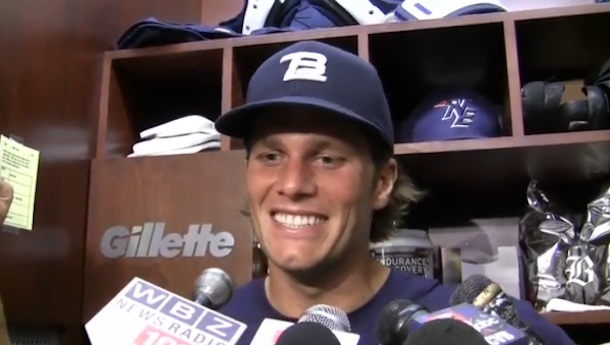 Whether or not you agree with Brady's sentiment, the video clearly shows he was making a joke. However, it was a little embarrassing for the team's ownership and so they decided to reach out to reporters and suggest that Brady was encouraging fans to stay hydrated. Ridiculous! This kind of lame spin-doctoring just doesn't work. It is always the best PR policy to tell the truth and find a different way to work on your image. The team could have easily said, "While we don't share all of Tom's thoughts, we echo his desire for our fans to show up and loudly cheer for the home team." That would have been the end of the story and this brief episode would have been kept brief by utilizing the truth. The team's cover up effort has now made the story a brief internet sensation. So what can we learn? Weak attempts to "spin doctor" embarrassing stories often leads to more pain, but the truth can set you free (eventually).